The moment you start to talk about producers, the average music consumer tunes out. And that's fine. Knowing who produced a record is about as "inside baseball" as it gets in the music world. Producers do deserve recognition for their work, but outside of a few key megaproducers like Quincy Jones, Phil Spector, and (more recently) Max Martin, the average music consumer just doesn't know who's producing the works they love. That's a time commitment most folks don't have. But if any producer working today deserves that recognition and love in equal proportion to the artists he works with, it's Devonte Hynes, better known by his nom de studio, Blood Orange. Even if you don't know Dev Hynes' name, you've heard tracks he's helped to produce...Solange, Sky Ferreira, Carly Rae Jepsen, Florence + the Machine, and many more. And if you missed 2013's Cupid Deluxe, a record of his own material that he performed himself under the Blood Orange moniker, you should rectify that mistake immediately. Hynes' fusion of R&B, electronica, and psychedelia managed to incorporate the best of old school pop/R&B songwriting while shooting forward into the future of what contemporary music can be and Hynes brought all of that talent -- both as a producer, songwriter, and a performer -- to bear at the Apollo Theater for a production of Blood Orange and Friends that was one of the most astonishing, fun, funky, and communal shows New York has seen this year. If you've never seen Blood Orange live, the only comparison to his peers that springs to mind is what if a Madonna show had been put on Michael Jackson. It's a production. Dev has an enormous backing band, back-up dancers, back-up vocalists, and enough dance moves of his own to put on display that it's a shame Soul Train doesn't exist anymore. He could have been one of the greatest musical guests the show ever had. And by bringing out a steady stream of guests including Chairlift's Caroline Polachek, Solange, and Nelly Furtado, Hynes underlined the sense of community and a lack of ego that helps to define him as an artist. And in an age where so many performers try to make everything about themselves, Hynes' willingness to step out of the spotlight and share it with others was close to a revelation. But none of that gets to the show and the music itself and if they were good. And the answer to that question is a resounding yes. There were two women sitting behind me and at one point, one of them compared Hynes to Chic's Nile Rogers. I understand the reference -- Blood Orange's music can be funky as hell -- but I felt it missed the mark. More than any other figure in the past, Dev Hynes recalls the best work of Quincy Jones...particularly Jones' work for Michael Jackson (albeit if Michael Jackson had ever gone through a mildly psychedelic period in his career). It's impossible to discuss Blood Orange's production (either in his own work or for other artists) without bringing up the King of Pop. With the bright synths, the smooth sax, and thumping bass lines, Blood Orange effortlessly evokes everything excellent about crossover MoTown pop in the 70s/80s while packing the music to the gills with rich textures and overt political overtones. It's afrofuturism with a retro bent and a healthy dose of gender ambiguity. 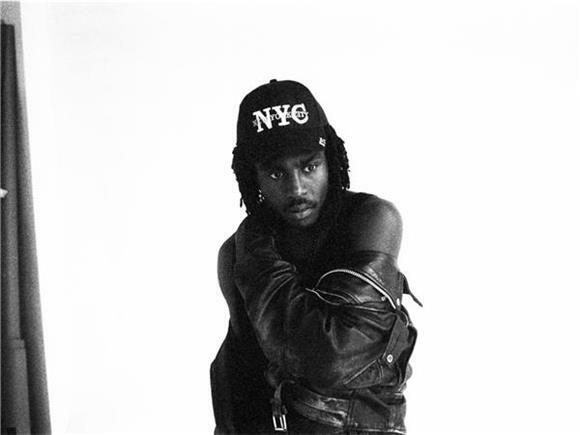 Dev Hynes doesn't like it when his sexuality is fixated on. He once said in an interview with Out Magazine that he wasn't gay or straight, but it's also not difficult after seeing him live to understand his appeal to the queer community. He primarily writes music for female performers. And there isn't an ounce of hypermasculine R&B swagger to his music. His music is dripping with sexual overtones, but it's vulnerable. It's tender. It verges on toying with gender presentation both sonically and lyrically. When Hynes dances, he dances with a fluidity and grace that men are rarely afforded in contemporary music. But of all the many reasons that Blood Orange's set was a massive success, the fact that it was a perfect jam dance party stood above the rest. The aisles flooded with a sea of young bodies losing themselves in the tight grooves that Dev and his band were laying down (and also Solange's band who came out for several songs off her EP that she co-wrote with Blood Orange who helped produce the record). People were singing along at the top of their lungs. I was bobbing my head in a delirious groove to each funk-pop soul moment Blood Orange provided. And when we spilled out of the Apollo into the Harlem night, everyone was leaving with just a hint of dance to their step.